If the Classic Hotel a couple of doors down is a bit too dated for you, then the budget-business-traveller orientated Hotel Sentral Kuantan would be our first nearby suggestion -- the rates are cheaper too. Average rating 7.6 from 4,903 reviews. The hotel has a smart, well presented lobby and six floors of rooms above in a modern, well finished building. The rooms are spartan but very clean and of a good size for the money (we had some trouble being shown one on a previous visit, but that wasn’t an issue this time). Their on site coffee house is open all day for those who need a quick bite, but more diverse food options are within walking distance. Booking direct per their website can be a huge savings as well. WiFi is available throughout and rates include an inclusive breakfast option. 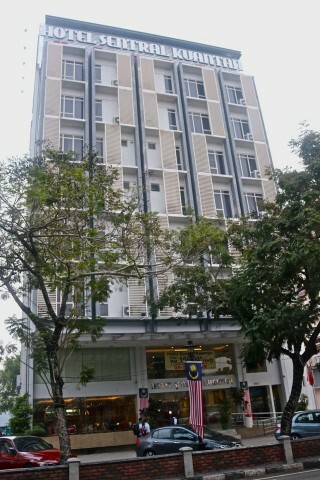 Check rates at Hotel Sentral Kuantan on Booking.com.